G E E K S B E R R Y (TM) IS A GLOBAL G E E K MARKET. GEEKSBERRY (TM) is a global on-line shopping destination for the fashion-forward young entrepreneur and their kids who love a sense of adventure, high standards of service, and who are passionate about Geek Culture. I'M IN, GIVE A PAIR! Leading designer and marketer of optical frames, GEEK Eyewear® celebrates diversity, individuality and the creative enthusiasm of Geek culture. Considered the new chic, the "Geek lifestyle" has extended to all areas of pop-culture including fashion, sports, technology, music, gaming, film, art and entertainment. In that very spirit, GEEK Eyewear® embraces the Geek in every one of us, with a range of styles for men, women and teens. 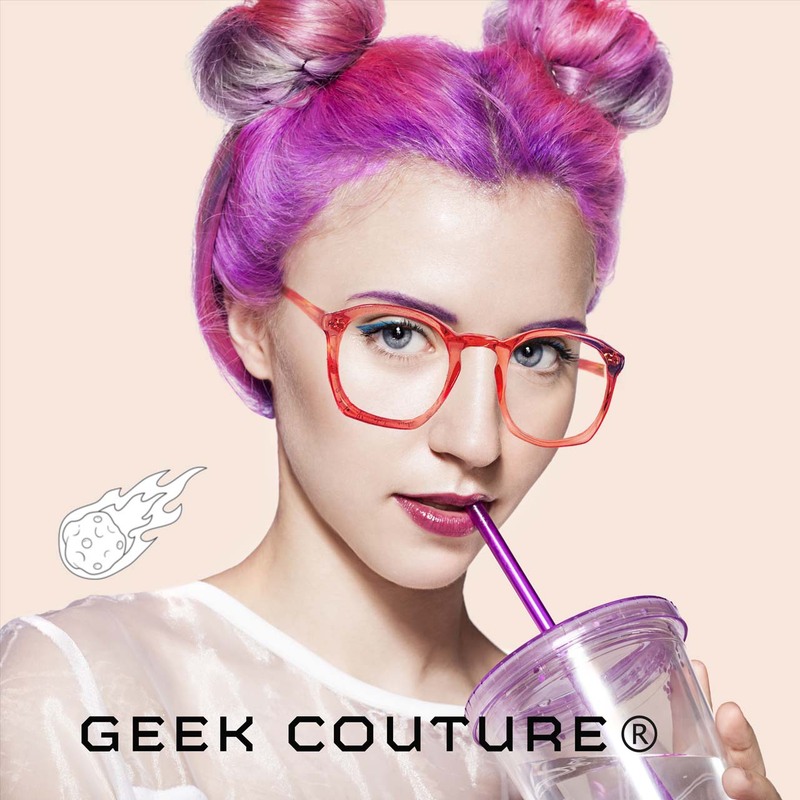 GEEK Eyewear® offers a wide variety of frames in over 40 different styles in thousands of boutiques throughout the US and online at the brand’s one-stop-shop – https://shop.geekeyewear.com. Online, consumers have the option of ordering RX eyeglasses, sunglasses or Ready-To-Wear (RTW) fashion eyewear without a prescription. The RTW fashion frames have clear CR-39 lenses and ideal for the stylish consumer who wants to look smart and fashionable. All of GEEK Eyewear®’s frames are 100% ophthalmic quality – the same standards used by eye doctors! Consumers have the option to purchase Geek Eyewear’s frames online, load their personal prescription and make Rx glasses made by us or take frames to a favorite eye care shop. Our frames made in China. Alena Lehrer, Founder of GEEK EYEWEAR®, GEEK COUTURE® and GEEKSBERRY (TM). Red Carpet Event, SLS Hotel, Los Angeles: Roger Zamudio, Eric Sobolevski and Alena Lehrer. Before you order RX eyeglasses, please check if you have a valid eyewear prescription and your pupillary distance (PD) information. Your PD is the distance in millimeters between your pupils. If your doctor did not include your PD on your prescription, please contact your optician. Once you have your PD, you can either hand-write it onto the copy of your prescription before scanning, type it into a note's field when ordering, or submit the measurement to our email: info@geekeyewear.com. 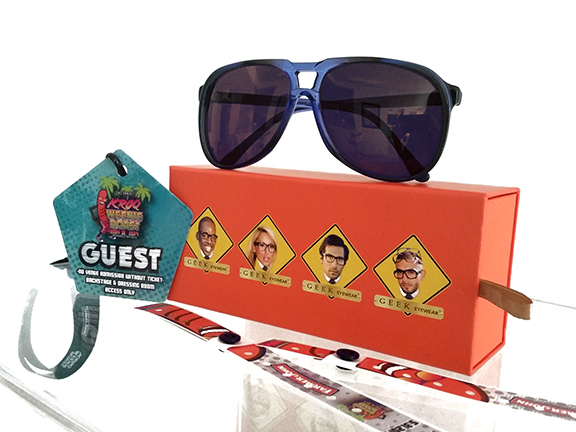 GEEK Eyewear® supports charitable causes through our “I’m In, Give a Pair” campaign. For every pair of glasses we sell on-line, we match the sale by providing a pair to persons in need. GEEK Eyewear® also have worked with charities like the Unite for Sight, Make-A-Wish, Dress for Success, Stuart House, Venice Family Clinic and the Adventure Project. GEEK Couture® supports charitable causes through our “ENHANCING EYESIGHT FOR ALL” campaign. For every pair of glasses we sell on-line, we match the sale by providing a pair to persons in need. If you think you have seen counterfeit product, you may contact us directly. Please include as much information as possible by describing the merchandise you saw, where you saw it, and any additional information you can provide. The GEEK EYEWEAR® brand takes every measure to provide you with only the highest quality eyewear. Counterfeit merchandise deceives consumers and deprives them of the quality that our brand name ensures. Since counterfeit merchandise does not undergo our rigorous inspection and testing processes, it does not meet our high standards. We recognize that counterfeiting is a serious, world-wide problem, and we are taking measures to combat the unauthorized production and sale of our merchandise.